Should Non-US Citizens Vote in College Park Elections? Should non-U.S. citizens have a right to vote in elections? Residents in College Park are at odds over the idea. News4's Tracee Wilkins reports. Few people outside College Park, Maryland, usually care about what the city council is up to -- until they started talking about allowing non-U.S. citizens to vote in city elections. Non-U.S. citizens, including permanent legal residents, cannot vote in national elections, according to federal law. However, the College Park council is considering a proposal that would allow them to vote in local elections. 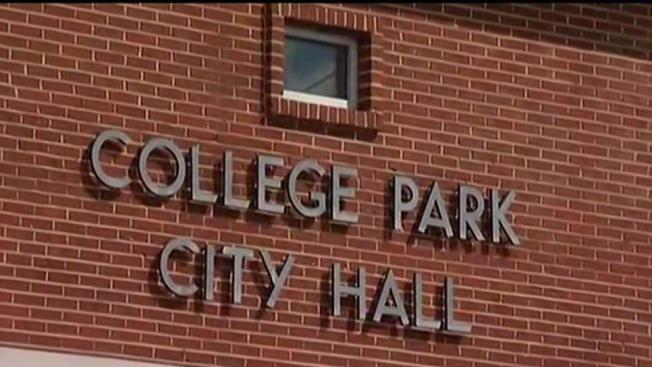 "For better or worse, the issue has gotten attention from blogs and brought feedback outside our community that has not been productive," said College Park Mayor Patrick Wojahn. Now Prince George's County Police are looking into reports of threats made against some council members. Officers will be on hand at a College Park council meeting Tuesday night as the council considers the proposal. If approved, College Park would become the largest city in Maryland to allow all adult residents to vote in local races. To vote, they would just have to prove they live in College Park. That would include both those in the U.S. on visas as well as undocumented immigrants. People in College Park had plenty of opinions on the issue when we asked what they thought. "I think that only American citizens should vote in elections, and people who are a foreign extraction shouldn't be participating in elections here," said one woman. "They should be participating in elections back home where they came from." Another woman disagreed. "I guess if they have a green card, people should be allowed to vote," she said. "You didn't take the time to become a citizen," said one man. "Take the time to become a citizen. Then you have the rights to do things." "If people live here, and they are a citizen here of this location, then they should be able to vote, regardless of whether they're [U.S.] citizens," said another woman. Wojahn said he's been disappointed with some of the outside reactions on the proposal. He said he wants local residents to offer their opinions, but the outside influences are becoming a serious distraction. "It's frustrating because I think these are people who feel very impassioned but don't know our community," he said. Prince George's County Police are investigating threats against council members, spokeswoman Jennifer Donelan confirmed. "At this point, it's our Homeland Security Bureau here at Prince George's County Police that are investigating these threats, and we are, as a precaution, going to be adding extra patrols to that meeting," Donelan said. Police declined to provide specific details about the threats because the investigation is ongoing. Cook said she began noticing a change in the emails and calls the Council has received on the proposed amendment, with opinions coming from outside of College Park. "I did have two people call me directly today... and they were concerned about the vote tonight," she said Tuesday. There may be an amendment made at Tuesday night's meeting to push back the decision. The outside influence has turned a discussion on where the city stands on immigrant rights into something unexpected. "We just got over the elections, and people were so at odds with each other, and now they're at odds again," Cook said.